Free Adventure Coffee Cup SVG - Sew What, Alicia? Whether you are jet setting around the world or just driving across town to use an awesome coupon everyday can be a bold adventure! It is no secret that I need a few cups of bold and smooth coffee before I am ready for the adventure, so I was excited to try this new 1850 brand coffee and it didn’t disappoint. J M Smucker was a bold man who lived a life of adventure that inspired men and women alike. To honor his bold spirit have crafted 1850 Brand Coffee as the official coffee of bold people everywhere and helps to fuel my creative and adventurous life. There are so many great sayings and cut files out there but I felt like most of them were aimed at the ladies. I wanted to make something a bit more neutral that the fellas would be comfortable using. 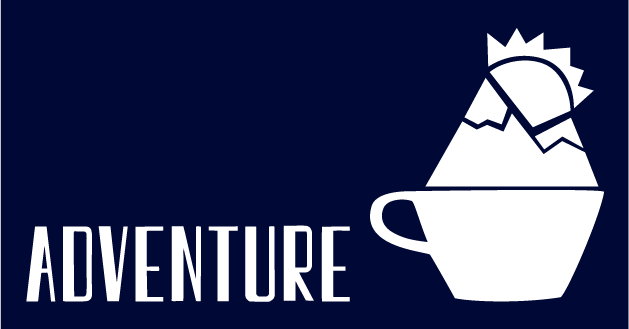 Here is a free adventure coffee cup svg. I teamed up with J.M Smucker Company and had the opportunity try out the brand new 1850 brand coffee from Folgers. I am a huge coffee fanatic so this was right up my alley! Whether I am sitting in my craft room sewing, volunteering with a bunch of kindergarteners at a working farm, or going on a spouse flight on my husband’s aircraft every day is an adventure and I try and live my life in the boldest way possible. My outlook on life lines up perfectly with the 1850 brand coffee brand. 1850 brand coffee is a new premium coffee from the makers of Folgers. I love my coffee in large batches so I use a drip coffee maker or a french press but you can get this coffee in K Cup form if that is how you roll. I took my sampler pack on a camping trip and when I woke up I realized I had forgotten the sugar. Which was terrifying. But I went ahead and made the coffee and it was bold but smooth so I didn’t even need the sugar that I was previously so reliant on! But enough about me, you want to know how you can get your hands on this yumminess. Visit Target from 5/20 – 6/30 and take 20% off any 1850 Brand Coffee Product with the Target Cartwheel Coupon (while supplies last.) Or head to 1850 brand coffee to learn more! This file looks great in one solid color but it is also fun if you use several strips of vinyl. Try using permanent vinyl to add this to your favorite coffee mug or tumbler. This file would make a great stencil. Use it to add fabric paint to a camping apron or on a fanny pack. This file is gender neutral. The plain text and natural vinyl make it a great gift for anyone! Do you have any questions about 1850 brand coffee or the free coffee cup svg? Share with me in the comments below.